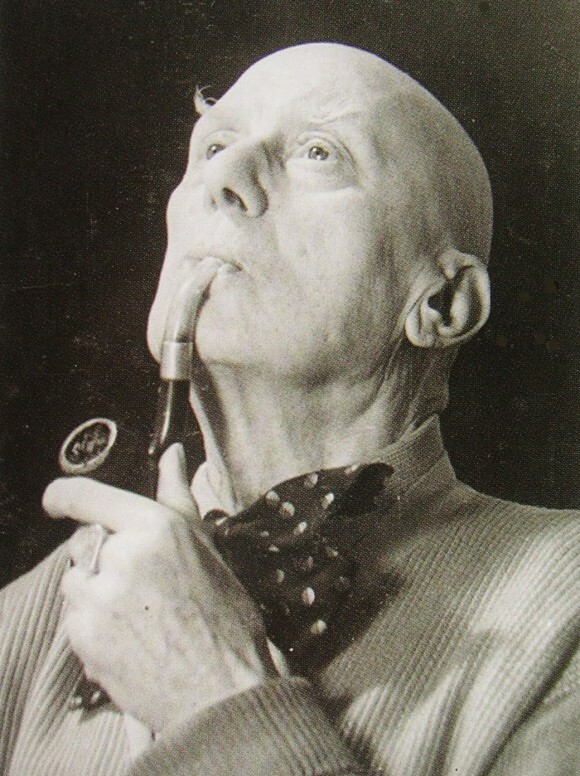 Aleister Crowley is perhaps the single most famous figure in the entire history of magic and the occult. 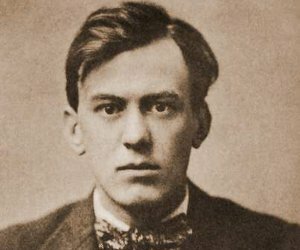 Often wrongfully dismissed simply as a debauched and drug-addicted Satanist, Crowley was a poet, a painter, a mountain climber, openly bisexual, and a rebel against a controlling society he felt imposed outdated morals based on ridiculous superstition. He was always a master at publicity, a flagrant attention whore, and could be exceedingly cruel. Unsurprisingly, Baphomet was an important figure for the man who called himself “the Great Beast.” Crowley began his formal magical training in The Hermetic Order of the Golden Dawn before founding the Argentium Astrum (usually written A∴A∴), and finally reorganizing the pre-existing Ordo Templi Orientis under his own religion/magical tradition called Thelema. When Crowley was initiated into the O.T.O. by its founder Theodor Reuss, he took the name Baphomet as his mystical name. When Crowley later wrote his Gnostic Mass, Baphomet figured prominently as a symbol of the perfect union of opposites, the divine Androgyne. The goal of the "master magician" is to master the universe. One of the laws of magic is “as above, so below”—to put this in less mystical terms, everything is connected to everything else (stripped of the magic phraseology, the interconnectedness of all things is a familiar idea--one you see in everything from physics to Buddhism). So, in order to master the universe, the magician must master himself. Every part of himself, both the noble and the ignoble, the base and the divine. That sounds strange and complicated. Mystical and flowery. It’s not. Walt Whitman got it -- "I am large, I contain multitudes". What that really means is that the master magician wants to become a fully realized human being, who acknowledges everything about himself and what it means to be a human being. I've talked before about our tendency to decide that something is either good or bad based on one situation or example, then apply it across the board when nothing actually works that way. The goal of the master magician is to toss that tendency aside and see things for what they are, when they are...which brings us to the really interesting thing about magic and the occult. It's not that there is anything actually mystical, there's no such thing as Dr. Strange magical powers, the night is not full of gods and demons and spirits waiting hungrily in the outer dark, and there has never been any historical and scientifically-proven evidence of some cohesive world-wide body of lost knowledge/religion. When we examine magic and the occult, we see how long we have struggled to make sense of those deep questions about what it means to be alive and aware in this universe and inside this human body.